The Antique Lamb M-65 Jacket draws its inspiration from the US Army’s quintessential M-65 field jacket. 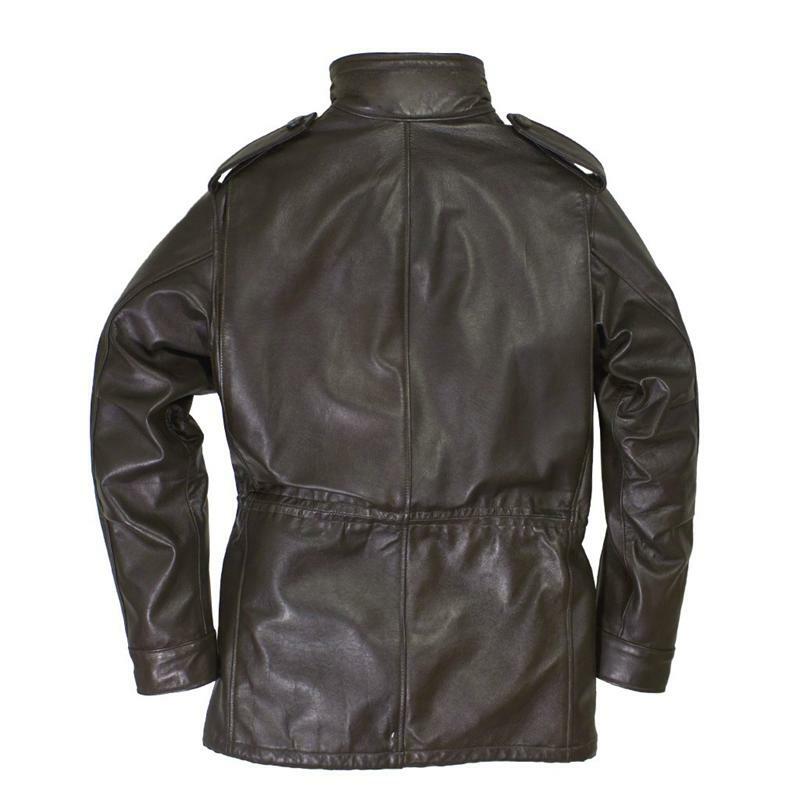 This hand cut, leather field jacket comes constructed from quality lambskin leather with a hint of vintage patina. 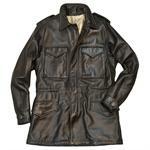 It features four oversized bellows snap down pockets and epaulets, and is lined with WW2 pattern parachute camo lining. The M-65 comes with a bi- swing back and an interior drawstring waist. It contains three interior pockets, with inside left side pocket being deep enough to carry a lot of your important stuff.